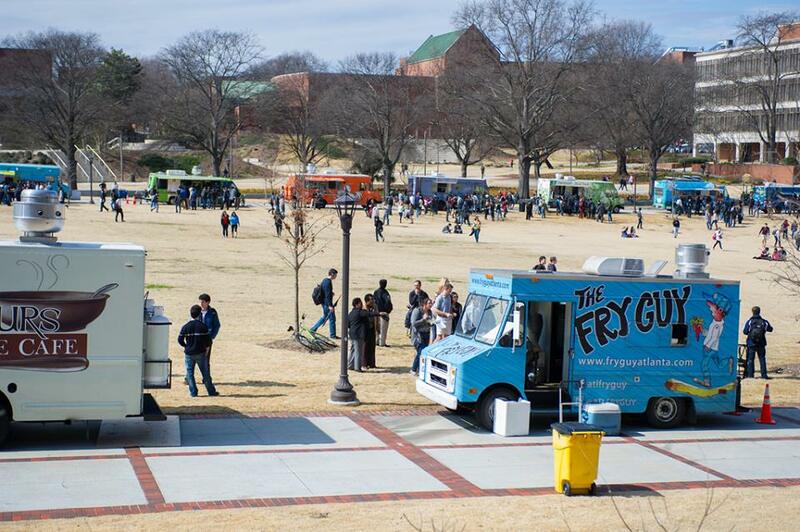 On Feb. 25, 16 food trucks stationed on Tech Green will sell various cuisines to Tech students and staff from 11 a.m. to 2 p.m. Also known as the Tech Truck Tournament, the event will allow patrons to purchase food and to vote on which of the vendors is their favorite food truck. “I think it is very important for students to attend the food truck festival and vote. Students get to vote on their choice of where they purchased food and they complete a survey after the fact to tell us more about the quality of the experience and the quality of the food,” said Rich Steele, Senior Director of Auxiliary Services. By voting on their favorite food trucks, students can help decide which food trucks will eventually be brought back to campus on a more regular basis. Besides voting on the trucks, students’ individual purchases can also indicate which trucks will be most popular if they return. “We are actually trying to find out from which vendor do customers want to purchase food. If you are making a purchasing decision, that to us is a good indicator of what food trucks will be the most successful and reach a broader customer base,” Steele said. Every food truck chosen to participate in this event also had to meet a certain set of criteria before they were allowed to participate in the Tech Truck Tournament. “We selected the vendors through a process called a request for qualified contractors; we wanted to look at their qualifications and we chose all those trucks who were interested in coming to campus and who met our basic qualifications,” Steele said. The menus were also graded to ensure the pricing would be appropriate for a college campus and that they had a range of food items that they would be selling, according to Steele. With the Department of Agriculture claiming that local food represented a $7 billion dollar industry in 2012, food trucks may soon be coming to campus to provide Tech customers with a wider array of dining choices. “Our main goal is to bring a broader variety of food to campus and to bring the trucks to under served areas on campus. We also might be able to bring additional ethnic choices,” Steele said. According to Dining Services 16 different food trucks have been invited to event so far offering a wide array of options.